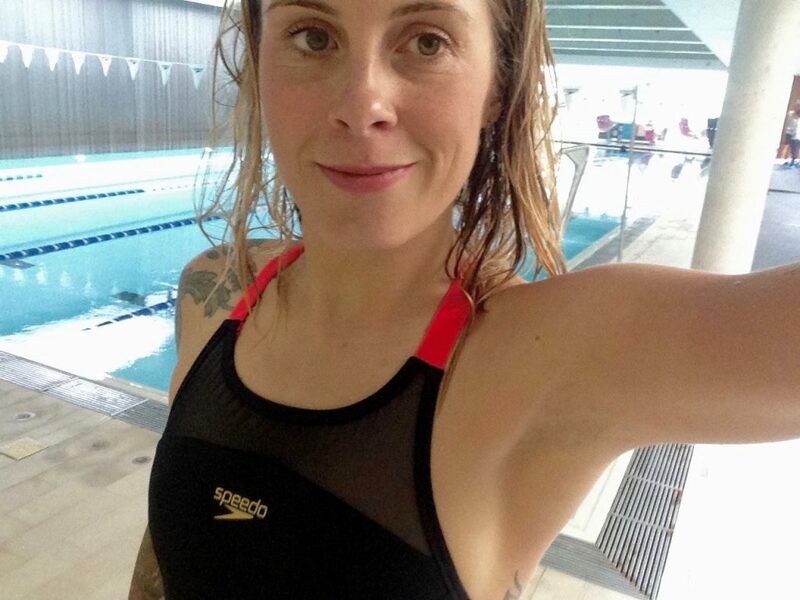 I’m still very new to swimming and whilst part of the challenge is to see how swimming helps my cycling, I wanted it to be helpful, realistic and fun. To that end, I’ve been sticking with roughly 45-minute swims as that seems manageable rather than daunting. I feel like you can be doomed to fail if you bite off more than you can chew and that you’re more likely to throw the towel in if you set yourself unrealistic targets. A few weeks is possibly not enough time to see or feel real physical results, but certainly long enough to notice the mental benefits and I’m enjoying the time I get in the pool. I’ve come to consider swimming a treat; I find the water a real escape, regardless of when, where or how it happens. What I would like to do is schedule in a regular swim at the same time every week, a non-negotiable slot in the diary but in practice I have to be a bit flexible as I’m often travelling or racing. As I mentioned in my previous post, the minimal kit required for swimming is a big help as I can always fit a swimsuit and goggles in my bag. It’s also helpful that training in the pool can be done fairly quickly compared with cycling, where clocking up the required miles can be pretty time consuming. The other difficulty in scheduling my swim has to do with my on the bike training – sometimes I have some pretty intense interval sessions in my diary or a big endurance building ride and I don’t always feel like swimming on the same day as quite frankly, I’m knackered. I therefore always make sure to get my first (sometimes only) weekly swim in the bag on my ‘rest day’ from cycling as I have more energy, but I have to say, the times I’ve persuaded myself to go for a swim even though I’m tired from cycling I’ve actually found I really enjoyed it once I got going. I just emerge incredibly hungry from the pool! Alongside my prioritised, 100% unmissable weekly swim, I try where possible to squeeze in an additional session. This is as there is more than one kind of swim that I enjoy and that will benefit me (I think! ), so two mixed swims feels right. The first kind of swim is a relaxed, recovery swim that I use to loosen up my body if I’ve been hammering if on the bike, kind of like oiling my joints or stretching. I feel like make me feel more limber on the bike. I take it pretty easy in these sessions, swimming fairly slowly with no breaks as I really enjoy settling into a quiet rhythm and allowing my mind to float away. I find these sessions a treat as they’re the swimming equivalent of ‘just going cycling,’ something I can fail to do sometimes as I’m always riding with a purpose thanks to my training and race schedule. It’s nice to just float and splash about and it’s seems to be helping to ease my creaky back and unlike (some) yoga it’s all soft movements rather than held, strong poses that make me quiver. The other kind of pool training session is very different and is taking some getting used to. The kind of racing I favour is short, fast and almost entirely at Threshold, so I’m looking to use swimming to help my cardiovascular system, expand my lung capacity and improve my breathing. As I’m pretty clued up on training on a bike (and in the gym) I know the kind of intensity I need to train at in order to see results, so I’m taking steps towards replicating that in the pool. I’m not sure of the correct swimming terminology (is there any?) but I’ve completed some sprint interval swims that involved swimming flat out for a certain distance and repeating it after a short recovery, much as I might do on the bike. I’ve been having fun testing out a Garmin Forerunner watch in the pool too, as it can record your laps, pace and distance so I tried the swimming equivalent of a Time Trail, trying to swim 200m as fast as I can. I rather enjoy working with data and recording and analyzing my stats and it was only a matter of time before I became competitive with myself. What’s pretty damn weird at first is having your head underwater whilst you are out of breath – it can be quite disconcerting to be honest as it’s just not something you would ever do in normal day-to-day life. Don’t worry, I’m not endangering myself as that would be stupid – I don’t go so hard that I’m going to pass out and I always swim in monitored pools . Regardless, the the sensation of being breathless in water takes some getting used to, and I’m not even a nervous swimmer. So what next? Well I’m hoping for some feedback from Speedo on what I’ve been doing, maybe some guidance on what sessions might specifically benefit cyclist would be useful too. And now that the weather has improved, perhaps I can really Pedal to the Pool, and head out for some wild swims! Swimming is beneficial in so many ways. 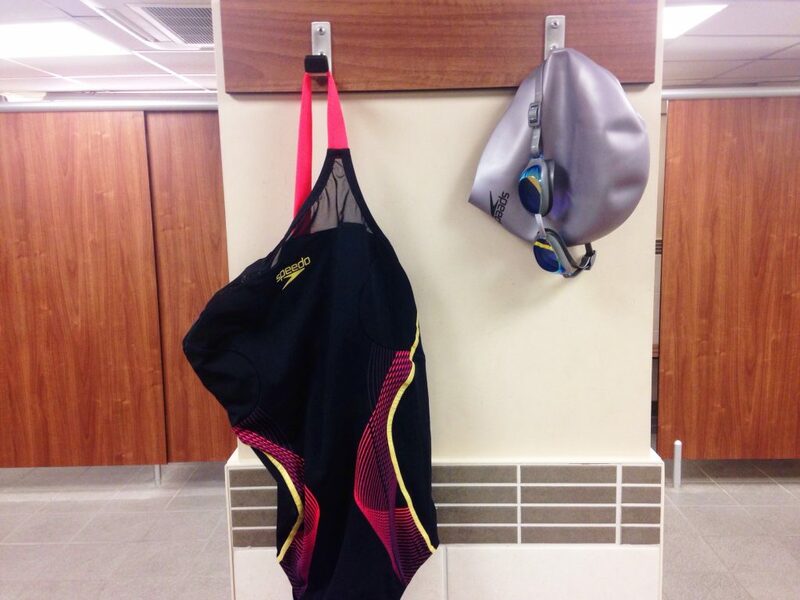 I always find myself a little reluctant to actually do it – I always enjoy the actual swim, and quickly see benefits to my health in terms of physical fitness and mental well-being, but it’s the changing rooms and the getting ready again afterwards that I find the chore. A challenge like this is a great idea; it’s gives you purpose to swim and then you quickly fall into a routine, which is what I need. Looking forward to following your swimming journey. I’m sure you’ll continue to reap the rewards and I’m keen to see how much it improves your cycling performance.